STI assists the EPA with the development, operation, and enhancement of the AirNow system. 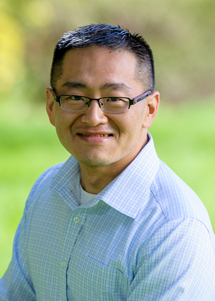 AirNow is an EPA program that provides the public and application developers with easy access to national air quality information online and via web services. AirNow has become the national resource and focal point for decision makers, media, and the public. 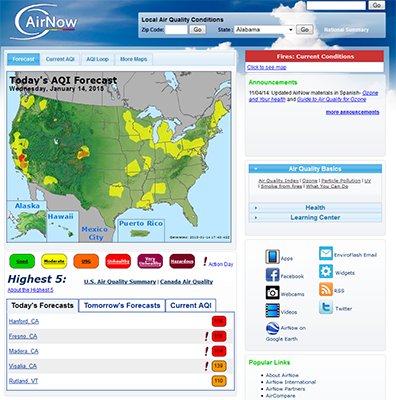 The program offers daily Air Quality Index (AQI) forecasts as well as real-time AQI conditions for over 400 cities across the United States, provides links to more detailed state and local air quality websites, and makes available educational materials about the many facets of the air we breathe. Each day, hundreds of thousands of people use or benefit from AirNow information to avoid exposure to unhealthy air. STI has worked with EPA for over a decade on the AirNow program and is helping AirNow expand both domestically and internationally. In collaboration with the EPA and the Shanghai Environmental Protection Bureau, STI helped launch the first AirNow-International pilot in advance of the World Expo in Shanghai, China, to help manage local air quality needs.